Peter M. Vermuelen, 70, of Bethlehem, passed away December 2, 2018. He was the loving companion of 32 years to the late Carol Reiman. Born in Quakertown, he was the son of the late Peter and Helen (Rudolph) Vermuelen. He worked for NL Morrell for 18 years. Survivors: children- Brenda “Half Pint” Lebby and husband Dan, Corina “Quarter Pint” Guidon and Larry, Peter Vermuelen Jr.; grandchildren- Joshua Petrella and Brandy Cooke; great grandchildren- Alivia Petrella, Peyton, Jovi and Wyatt Danger Cooke; brother- Leonard Vermuelen and wife Judy. He was predeceased by his brother- Patrick and sister- Jane. A calling time will be held on Friday, December 7th 2-3PM with a Celebration of Life at 3PM in Downing Funeral Home, Inc. 1002 W. Broad St. Bethlehem, PA 18018. Contributions can be made in Pete’s memory toward the funeral expenses. Margaret A. “Peggy” (McLaughlin) Volpinari, 95, of Bethlehem, passed away November 9, 2018. She was the loving wife of the late Peter Volpinari. Born in Meriden, CT she was the daughter of the late John and Margaret (McAllister) McLaughlin. 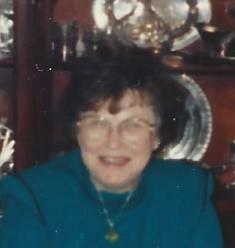 Peggy was a member of Notre Dame of Bethlehem Catholic Church. She enjoyed playing bridge, gardening and she was a talented artist. Peggy’s greatest pride and focus was her family and home. Survivors: children- Carolyn DeMasi and husband Dominick of Danbury, CT, Lynn Simms and husband Douglas of Hanover, PA, Kristine Shields and Walter Horigan of Pipersville, PA, Peter Volpinari and Kathy Perlow of Bethlehem; 14 grandchildren; 18 great grandchildren. She was predeceased by her sister- Elizabeth “Betty” McLaughlin and brother- Jack McLaughlin. A calling time will be held on Monday, Nov 12th 6:30-8:30PM in Downing Funeral Home, Inc. 1002 W. Broad St. Bethlehem, PA 18018. Mass of Christian Burial will be celebrated on Tuesday at 11AM in Notre Dame of Bethlehem Catholic Church 1861 Catasauqua Rd Bethlehem, PA 18018. Contributions can be made in Peggy’s memory to the church or the Easton Home, care of Downing Funeral Home, Inc.
Lawrence “Larry” P. Vreeland, 88, of Bethlehem, passed away July 21, 2016. He was the loving husband of the late Mary Vreealand and companion of Georgia Meyer. Born in Danielsville, he was son of the late Alonzo and Agnes (Binder) Vreeland. He served in the U.S. Army during the Korean Conflict. Lawrence retired as a machinist from P.B.N.E. Railroad in 1990 after 35 years of service. He was a member of the Westside Republican Club. Survivors: Sons- Michael Vreeland of Bethlehem and Gregory Vreeland of Moore Twp; Daughters- Elizabeth Lavelle of Moore Twp and Patricia and husband Larry Shankweiler of Northampton; Grandchildren- Shawn Judd, Ami Judd, Craig Kincaid, Dena Fitzsimons and Kelly Vreeland; 8 Great Grandchildren; Brother- Al of Florida; Sister- Marie Vreeland of Florida. He was predeceased by his brothers- Leonard and Ted. A viewing will be held Wednesday 6-8PM in Downing Funeral Home, Inc. 1002 W. Broad St. Bethlehem, PA 18018. Mass of Christian Burial to be celebrated Thursday at 10AM in Saints Simon and Jude Catholic Church 730 W. Broad St. Bethlehem, PA 18018. Burial will take place in Ft. Indiantown Gap National Cemetery at the convenience of the family. Contributions can be made in Lawrence’s memory to the American Cancer Society’s Road to Recovery Program 3893 Adler PL Suite 170 Bethlehem, PA 18017. Nicholas Vohar, 94, of Bethlehem, passed away March 3, 2016. Born in Bethlehem in 1921, he was the son of the late George and Helen (Zoltanich) Wohar. He was the husband of the late Mary Danko Vohar. Nick served in the Civilian Conservation Corps (CCC) for six months in Chaco Canyon New Mexico before starting work at the Bethlehem Steel in 1940. 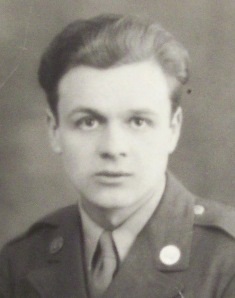 He left the Steel for two years while serving in US Army in World War II. PFC Nicholas Vohar was combat wounded in Normandy, France July 11, 1944 while the US was capturing Hill 192. For his valor he was awarded two bronze stars with oakleaf clusters, a purple heart and a European theater campaign medal. Nick worked at the Bethlehem steel from 1940 to 1976. Nick was best known for the many years he ran the concession stands at Lehigh University in both Taylor Stadium and Grace Hall. Nick also served as the equipment manager for Lehigh’s baseball team for over 10 years. He is survived by his two sons Nick and his wife Melodie of Allentown PA where he resided since July 2015 and Tim and his wife HelenKay from Virginia Beach. He has five living grandchildren- Wendy Vohar, Timothy M. Vohar, Kenneth Vohar, Katrina Caten, Christine Lemrick and one angel Nicholas B. who lived 11 days, 10 great grandchildren, sisters- Ann Malinchak and Mary Wohar and brother- George Wohar. He was predeceased by his sisters- Julia Wohar and Helen Mondak. A viewing will be held on Wednesday 6-8PM and Thursday 9:30-10:30AM in Downing Funeral Home, Inc. 1002 W. Broad St. Bethlehem, PA 18018. Mass of Christian Burial will be celebrated at 11AM Thursday in Saints Simon and Jude Catholic Church 730 W. Broad St. Bethlehem, PA 18018. Burial to follow in Holy Saviour Cemetery. In lieu of flowers, donations can be made in Nicholas’ memory to the Salvation Army or the church c/o the funeral home. Anne Marie Hanna von Leer, T.O.P., wife of the late Lemuel Bernard Joseph von Leer, T.O.P., Ordained Deacon and daughter of the late Anthony Francis and Laura Dylewski Hanna. After the death of her mother at age six, she lived with her Great Aunt Sally Devers, Great Uncle Patrick Devers, and Uncle Joseph Hanna. 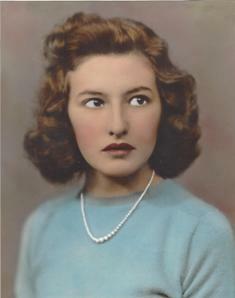 She was born February 24, 1924 in Shenandoah, PA and moved to Bethlehem in 1958. She was a graduate of the McCann’s School of Business and received her theological education at Moravian, St. Francis de Sales and Mary Immaculate Seminary. She was the former Director of Religious Education at Notre Dame of Bethlehem Church. She was perpetually professed into the St. Dominic Third Order of Preachers. She was a member of the Children of Joy Charismatic prayer group and also Koinonia Ecumenical prayer group for years. She is survived by three daughters; Sarah and her fiancée David Winkel, Mary and her husband Michael Pany, Joanne and her husband Brian Seche, former son in law Alexander Chong, ten grandchildren; Angelina and her husband Benjamin Wheeler-Chong, Alexander Michael and his wife Wanida Chong, Lauren, Michael, and Christopher Pany, Wesley, Marielle, David, Caroline, and Bridget Seche, and five great-grandchildren; Noah and Maya Wheeler-Chong, and Linus, Legend, and Maisy Chong, sister; Catherine Boyle and brother; John Hanna. She was predeceased by her daughter- Anne. She is also survived by many dear friends who are greatly appreciated. She will be remembered most for her generosity, hospitality and kindness, as a beloved mother, grandmother and friend. She will be dearly missed. A viewing will be held Saturday 10-11AM with a Mass of Christian Burial to be celebrated at 11AM, all in Notre Dame of Bethlehem Catholic Church, 1861 Catasauqua Rd Bethlehem 18017. Burial to follow in Holy Saviour Cemetery. In lieu of flowers, donations can be made in Annamae’s memory to the church or to the Lay Dominican Order care of Downing Funeral Home, Inc.
Dinh Van Vu passed away December 26, 2014. A viewing will be held on Friday, January 2, 2015 7-9PM in Downing Funeral Home, Inc. 1002 W. Broad St. Bethlehem, PA 18018. A viewing will be held Saturday 9:15-9:45AM with Mass of Christian Burial to follow at 10AM in Ss. Simon and Jude Catholic Church 730 W. Broad St. Bethlehem. Burial to follow in Holy Saviour Cemetery.